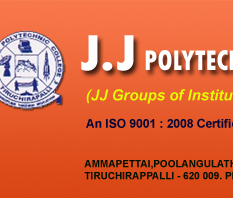 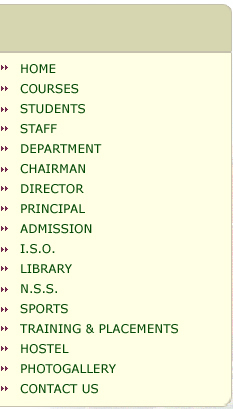 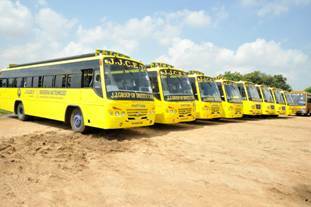 The Management is providing transport facility for our students at competitive rates. 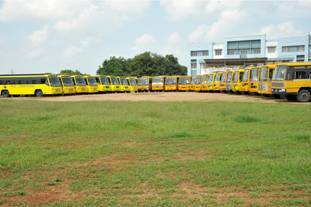 Twenty Seven college buses and three vans, ply to transport students to the college from various places like Trichy, Manachanallur, Srirangam, REC/BHEL, Manapparai, Somarasampettai, K.K.Nagar and Palakkarai. 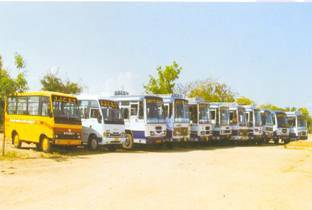 Besides, two tempo travelers are provided for the staff and students. 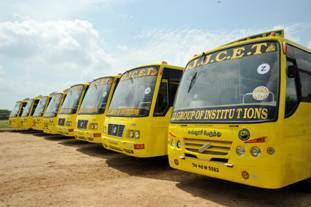 Our college transport provides punctual service, besides ensuring safety and security to the students.